After Barack Obama’s departure from the White House, Israeli Prime Minister Benjamin Netanyahu finally received the most pro-Israel president. Donald Trump's withdrawal from the “nuclear deal”, his ultimatums demanding to withdraw Iranian forces from Syria and economic pressure in the form of an oil embargo against Iran spilled balsam over Netanyahu, who was at knives with Obama because of his policy of resolving the crisis in the “two States. " But now Netanyahu has a problem that is much more serious than the "disloyal" leadership in the United States. Together with British Prime Minister Theresa May and German Chancellor Angela Merkel Netanyahu, he is in the line for resignation. For May, the “Trojan horse” became Brexit, for Merkel - the migrants, for Netanyahu - Hamas. After the unsuccessful operation of the Israeli special forces in the Gaza Strip to destroy the leaders of Hamas, the sides exchanged a series of rocket attacks. When sirens sounded in the cities bordering Gaza for several days, Netanyahu went to a truce with Hamas. This caused a political crisis in Israel. Defense Minister Avigdor Lieberman resigned and withdrew his party, Our House of Israel, from the ruling coalition. So, “behind the back” Netanyahu was left with only 61 deputies - the minimum necessary majority in the 120-seat Knesset. Now the fate of Netanyahu and his Likud depends on the other parties. It is enough for one of the partners - Kulan (10), Jewish House (8), Shas (7) and Yahadut Ha-Torah (6) to leave the coalition, and early elections are inevitable. Last weekend, Netanyahu literally begged them not to do it: "We are in a difficult situation in terms of security. In this position, do not throw off the government. This is irresponsible. We have a whole year ahead of the elections." The reason for the alarm was the threat of the leader of the "Jewish House" and the Minister of Education Naftali Bennet to resign if Netanyahu did not give him the post of Minister of Defense. But the Prime Minister did not give up the defense department and temporarily reserved this position. Bennett caved in under Netanyahu and said today about his readiness to remain in the government on condition that the prime minister tightens measures against Hamas. Meanwhile, the head of Kulanu’s second largest ruling party, Roy Folkman, said today that his faction would insist on early parliamentary elections. And regardless of whether Bennett resigns. Earlier, the Minister of Finance, Moshe Kahlon, also representing Kulanu, called for an extraordinary election. Israel is a country of early parliamentary elections. Over the past 30 years, not one of their ruling coalitions has survived until the end of the legislative period. The coalition led by Netanyahu is the most durable. The next scheduled elections are scheduled for November 2019. In addition to Gaza, Netanyahu is also under pressure from the ongoing corruption investigation. 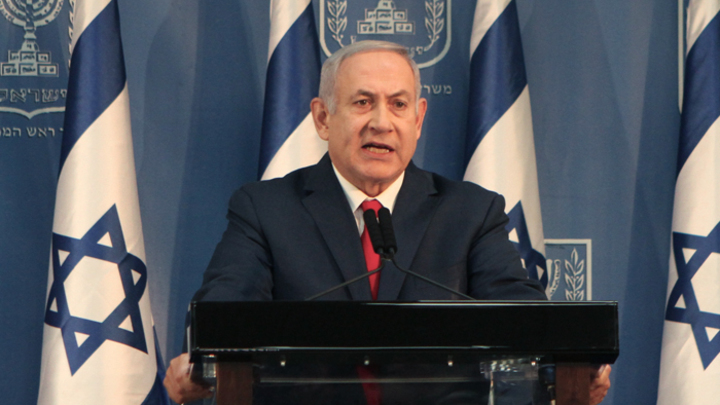 This, along with the threats of partners to withdraw from the coalition, will provoke the prime minister to a more offensive course against Palestine and Iran. Israel or Iran, Who Hides the Nukes?